The VolAero Drones offering is now closed and is no longer accepting investments. Cutting edge drone services company. VolAero is a professional drone services company (www.volaerodrones.com) that integrates cutting-edge drone technology, imagery, and data processing to provide our clients with “actionable analytics”. From flight mission planning to data processing, we save our clients time, money and resources, all while boosting safety. We empower our clients to increase productivity and find solutions that provide them with the data they need to make better decisions and ultimately become trailblazers within their competitive marketplace. When you make the decision to invest in VolAero, you aren't just investing in a high-tech professional drone services company, but you are investing in a stellar team that has over 150 years of combined experience in telecommunications, cinema, broadcast, sales, digital & data processing, science, engineering, business development, management, and customer relations. The VolAero team has a mission to build a successful service business that provides clients with an integrated end-to-end Drone Technology Solution. If you are passionate about drones and are as confident in the future of drone technology as we are, please join us! We would be honored to have you join our team as an investor. We know the future of drone technology has no ceiling -- let's take flight together! $1/ Common Share│When you invest you are betting the company’s future value will exceed $5.4M. Drones overall will be more impactful than I think people recognize, in positive ways to help society. –– Bill Gates. We started VolAero in May 2016 with a vision to create the most innovative professional drone services company on the planet. We then quickly built up our first base of operations in Miami, Florida. From there, we started putting together a well-rounded team of individuals that are passionate about the drone industry and gave them jobs with just one objective -- make this company successful. We rented space at 14530 Biscayne Blvd. Miami FL, 33181, purchased office furniture, bought drone equipment, sensors, and licensed processing software, got FAA Part 107 licenses, trained on flying drones and capturing data, obtained triple AAA insurance, FAA approvals, developed sales and marketing strategies. We started without any clients nor revenue. We built our company, with our bare hands, from ground zero. We are a real startup. We have worked to acquire clients, one-by-one, and are building a client base that is now also providing the company with repeat orders and referrals. We have executed over 80 jobs to date (with 30+ jobs in the pipeline to get started on) and have conversed through our sales center with over 5,000 companies interested in engaging our services when a job becomes available. We are working with some very reputable companies that find our quality of work high, our prices reasonable, and our service delivery second to none. Although the company’s revenues are still limited we see the client acquisition as a more important barometer since each client gained, through a substantial sales cycle, often has additional job recurring revenues and referral revenues. At VolAero, we use the best crew for the entire job -- from mission planning to data processing. In each case, we provide the answers to specific and often complex questions, which may require intermingling different types of data sets from sensors with multiple capabilities, such as RGB, NDVI, LiDar, and thermal cameras depending on the application. At the end of the day, we work closely with our clients providing an all-inclusive Drone Mission that is an integrated technology solution. The commercial drone industry is both growing and changing at a rapid pace. At VolAero, we decided to concentrate and specialize on a few vertical markets and provide our clients with valuable easy to implement solutions in areas like Real Estate Marketing, 2D Terrain Mapping, 3D Modeling, Environmental Surveillance, Thermal Inspections, Construction Progress Monitoring, Turf Health Management, Infrastructure Inspections and Volumetrics. With best practices and safety always at the top of mind we comply with all regulatory requirements. When a client works with us, they can find comfort in knowing that we always use the right drone for the right job. We use the proper camera sensors, appropriate data processing software, and analytics. We always ensure proper insurance is in place before we start a job. And, we never go into a job without actively thinking about safety and risk mitigation. Not to mention, we use experienced pilots every time and log all flight missions. We also maintain ongoing pilot training to actively upgrade our pilots skill-sets. We can assist in building surveys, building inspections, monitoring, before and after progress shots and more. Protect employees by using drones to see the unseen. 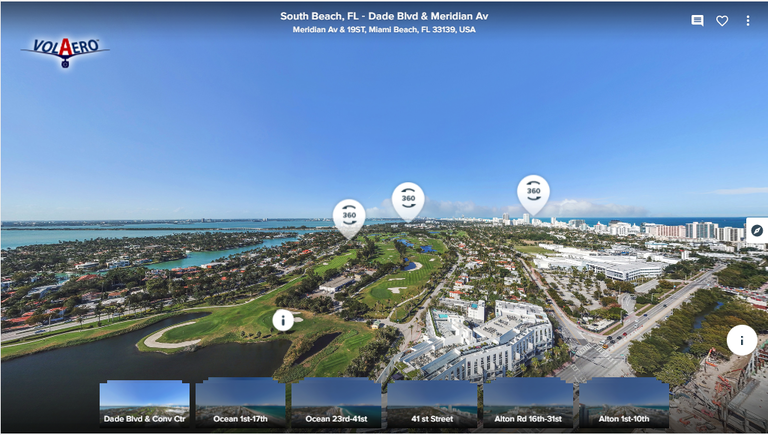 Aerial photography/video shows potential buyers more dramatic, compelling images with a variety of details and together with 360° Virtual Tour opens your location or services to the online public in a detailed and fast-loading virtual reality environment. We provide the perfect tool for conducting a visual profile without disturbing the subject matter and the ability to capture detailed images of wild life or research. Using VolAero's Unmanned Aerial Systems and capturing aerial images, processing data using photogrammetry and computing stockpile volumes is quick, safe and significantly less expensive than traditional survey and measurement methods. There are many significant economic and environmental advantages that we provide with inspections of roof and power lines through thermal inspection. VolAero provides an integrated end-to-end Geographical Information System solution. The reliable collection of high quality aerial imagery allows the specialist the ability to gather aerial imagery faster, more accurately and cost effective than other methods. With the intensive reporting that is provided we give our clients real time awareness and ensure the safety of the facilities which is instrumental to your success. What does tomorrow look like for the professional drone services industry? As reported in "Inside Unmanned Systems", (April/May 2017 edition, Page 14), the fastest growing part of the drone industry is the commercial market. While to date the military accounts for 90% of the market and the commercial accounts for 10%, The Teal Group 2016 World Civil UAS Market Profile and Forecast estimates that by 2025 it will be the opposite. The commercial market will account for 90% of the market and the military 10%, and the industry will grow to about $65B over the next eight years. While the first commercial use of drones (and still the main use for consumers) was to act as flying cameras, the emerging commercial use of drones is to “payload” the drone with different imagery sensors and capture different sets of data with RGB, Thermal, NDVI, Laser and other imaging sensors. By combining these image data sets and processing them to achieve specific data results, the data sets can then be used by companies to yield a higher commercial output sooner, safer, and at a lower cost. We look at this process as Economics 101. Raw competition will dictate creating more, better, sooner and for less cost. We see this evolution as a necessity by Corporate America and not a luxury. As soon as one company adopts this technology successfully, all other competing companies in its space will do the same in order to remain in business and compete. We foresee 2017 as the year that Corporate America educates itself on how to incorporate drone technology. Although, there are still some regulatory issues that need to be resolved in order for Commercial Drone capabilities to be fully exploited -- such as flying “beyond line of sight” -- these restrictions will over time become more relaxed by the FAA, as regulation is put in place -- and VolAero will be there at the right time and place to capitalize on the opportunities that present themselves. We are excited about the current and future market opportunities, and it is our objective to be at the forefront of this drone technology transfer revolution, and build a successful Professional Drone Service Business for Corporate America over the next 5 to 10 years. Professional Drone Services is a new service industry. It is not about selling or leasing drone hardware or software but rather selling a “solution”. It is very difficult for a company or government department to cover the entire space from mission planning, licensing, authorizations, insurance, training pilots, etc. The entire drone industry is a melting pot of technology and there is too much to know and too much to do. We at Volaero have developed, and continue to update our service process with these emerging technologies, and take this massive challenge out of our client’s hands. We do not manufacture drones or develop drone software, but will work with the different manufacturers and developers to get the best and most advanced technology available in the marketplace. We believe that as a technology service provider this is the best approach because then we are always using the latest technology available, and can remove this concern from our clients so they can avoid strenuous research and the large investment of capital that comes with rapidly evolving technology. While there are some other drone service competitors entering the marketplace, many of them are concentrating on other vertical markets, such as Aerial Photography, Cinematography, Search & Rescue, Law Enforcement and Security Surveillance. The other competitors entering our vertical markets, are also not necessarily in the same horizontal markets, nor do they have the infrastructure and robust skill sets to deliver a complete turnkey solution. We believe that we are unique in that we are able to round out the complete service product offerings to our target audience and deliver a high-quality service at an affordable price. To date we have performed aerial imaging video and data analytic jobs including condos, hotels, single family homes, quarries, 3,000 acre wetland, construction sites, roof inspections, insurance inspections, shopping malls, design renderings, lifestyle, events, yachts on the move, infomercials, and virtual tours. And the potential list is endless. At the end of the day, clients are looking for solutions and that is what we provide. A high quality end-to-end complex and sophisticated drone technology solution at an affordable price. We consider ourselves a "drone technology solution and professional full service company". Volaero UAV & Drones Holdings Corp.
A Professional Drone Service company with cutting edge Imagery and Data Technologies that provide our Clients with integrated end-to-end solutions. VolAero is pleased to announce that it has released its aerial low altitude 360 interactive panoramic virtual tour service capabilities with georeferencing and hotspot mapping technologies. This is a really exciting product we released that can best be described as “Google Earth on steroids with updated current information and higher definition” said Charles Zwebner, CEO. We use low altitude drones and the latest imaging sensors and processing technology instead of satellites. Our customers simply love it. This application is great for City Planners, Inspection Professionals, Construction Monitoring, Community and Homebuilding Developers, Real Estate Marketing, and Global Investment Houses and Banks. The possibilities are endless. For a review of the product click here or on the picture below. As you might know, VolAero Drones has exceeded its minimum funding goal. When a company reaches its minimum on StartEngine, it's about to begin withdrawing funds. If you invested in VolAero Drones be on the lookout for an email that describes more about the disbursement process. 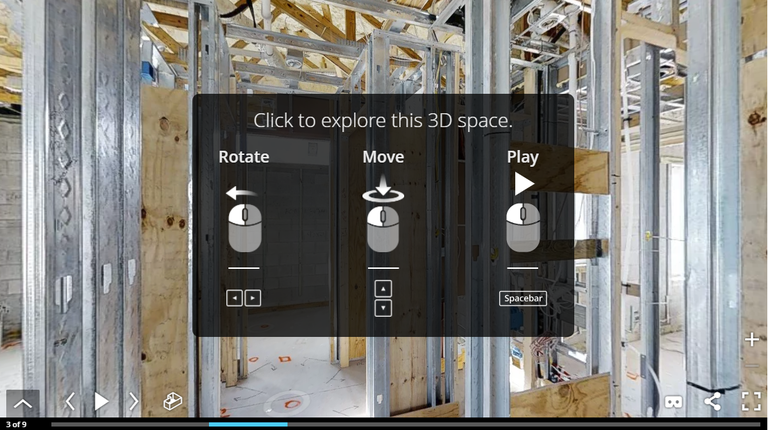 We invite you to take a 360 Interactive Tour (Matterport) of an interior of a house under construction. This is an ideal solution for digital documentation of the HVAC, plumbing, electric wiring, network wiring, beam locations that exist behind walls before the drywall is installed. Our construction and renovation company clients as well buyers have expressed extreme interest in this product since the digital recording simplifies any subsequent additions or repair work that may be required at a later date. We have now incorporated this imaging work as part of our service product offerings and are excited about this technology advancement. We welcome you to contact us to discuss any of your upcoming imaging needs that you may have on the horizon. MIAMI, Nov. 16, 2017 /PRNewswire/ -- VolAero Drones is working with famed outdoorsman Bill Booth to demonstrate that drones equipped with the latest thermal imaging equipment can effectively spot and track pythons at night – the prime hunting time. Over 100,000 Burmese pythons infesting the Florida Everglades have decimated 90 percent of small wildlife while surviving all attempts at eradication. "Python hunters finally have a tool to make hunting more efficient, bringing down the python numbers that are devastating Florida's Everglades," said Booth. "This drone and thermal technology is light-years ahead of shining a flashlight into the darkness and hoping for the best. The thermal imagery picked up not just the monster pythons, but also native snakes as small as 18 inches. This suggests that we'll be able to spot and eliminate clusters of python hatchlings, which will help curb their reproductive cycle." "We are happy to advance our relationship with Bill Booth, Florida's number one snake hunter. Along with Bart Bruni, of Bruni Infrared Inc., who is one of 21 certified Master Thermographers in the world, we've put tech to use where traditional methods have been ineffective in resolving this environmental challenge," said Charles Zwebner, CEO of VolAero. Zwebner invites inquiries from interested parties wishing to collaborate on drone technology solutions to environmental challenges. VolAero has also started a crowdfunding campaign. To view VolAero case studies and learn how to support the company's work, visit startengine.com/volaero. Florida native Bill Booth's love for the outdoors began as a young boy. An avid hunter and fisher, Bill is now a professional guide and expedition leader as well as a Florida-licensed python hunter. His media appearances include National Geographic, CNN, the History Channel and a Canadian documentary series. billboothoutdoors.com. SOURCE VolAero UAV & Drones Holdings Inc.
Volaero is extending the end date of their offering to February 12, 2018. Per the offering terms, and because our equity crowdfunding campaign has now cleared additional investors, VolAero UAV & Drones Holdings Corp ("VolAero"). has decided to conduct a disbursement in as little as 5 business days from today. If your funds have cleared, you will have up until 48 hours prior to this disbursement to cancel your investment. If your funds have not yet cleared by this date, then you will be part in the next sweep of funds if and when your funds do clear. We will continue to accept investments until the indicated offering end date. Thank you so much for investing and joining the VolAero Team! VolAero UAV & Drones Holdings Corp., a Miami based Drone Tech Startup Company, announces their Chief Pilot Jeff Fidelin has won an award in the Real Estate & Resort Category at the International InterDrone 2017 convention in Las Vegas. “VolAero is really proud of Jeff and the video production team for having won this award. As a Drone Tech Startup company having only launched this year in January 2017, we have come a long way in a short order of time and this award is a testimony to the quality of our work and the passion and dedication of our employees”, said Charles Zwebner, CEO of VolAero. “We have a great team on board, and we are making a real positive impact and difference in the drone industry. This video is already leading to more business for VolAero, and we believe the exposure this award is providing us could be a significant driver for future revenue”, Zwebner concluded. VolAero integrates cutting edge drone, imagery, and processing technologies to provide clients with a best in class product. From flight mission planning to imagery capture and processing, VolAero saves time, money and resources and creates drone technology solutions for its clients. The video was produced for the Acqualina Resort and Spa in Miami, (a Forbes 5 Star and AAA Five Diamond Beachfront Oasis) for its marketing campaigns that were showcased at the Hospitality Design Exposition & Conference 2017 in Las Vegas. The drone portion’s integration into the marketing video is becoming more common as hotels and resorts are upgrading their marketing materials and using the latest technologies to showcase their properties and amenities. After this project was completed, VolAero also won the bid and created a video for the Acqualina Mansions - 45th Floor Penthouse Condo, $20M Sales Price - which is the most recent and prestigious building of the Group.